Congratulations to "Laura", the winner in Sharon's giveaway. Thank you to all who participated! I’ve always enjoyed books with a theme of romantic reunions and second chances. Mix that with a little suspense and I’m in book nirvana! That’s one of the reasons why I created the Reunited Series a few years ago. The series follows the lives of men bitten by the love bug who went on to capture the hearts of some unsuspecting women. 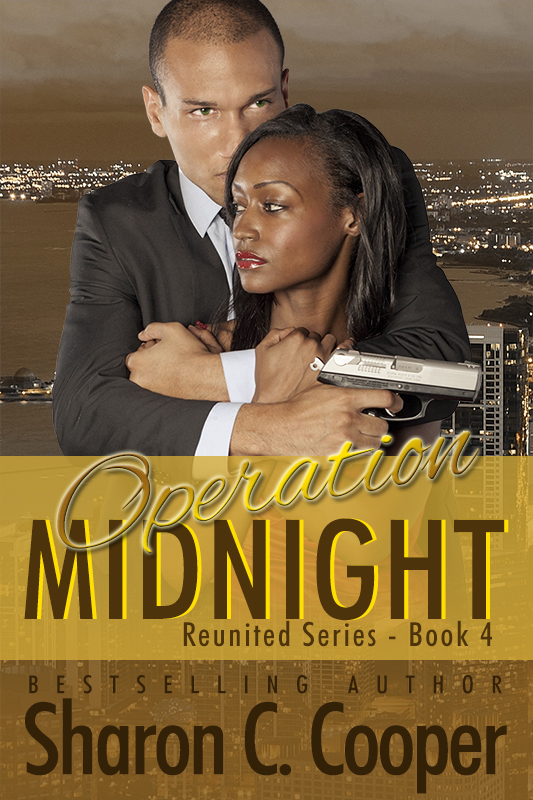 This last couple in Operation Midnight - Cameron (Wiz) and Olivia Miller, are no different. In love since their teens, Wiz and Olivia’s relationship has endured challenges that no couple should have to experience, but through it all, they’ve survived…until now. Now, there are moments when they’re not sure if they really know each other. It doesn’t help that Olivia has requested something from Wiz that he can’t…and won’t give her. Olivia is slow to understand his resistance. But let me ask you. What would happen if someone you loved lured you to a drug house and then left you there for dead? If you lived to tell about it, could you forgive that person? Would you forgive them? Wiz and Olivia are faced with that situation. They are on opposite sides of the fence when it comes to forgive and forget. And a past that they thought was buried for good comes back to haunt them, putting them at odds. Though true love should be able to stand the test of time, will that be the case for Wiz and Olivia? 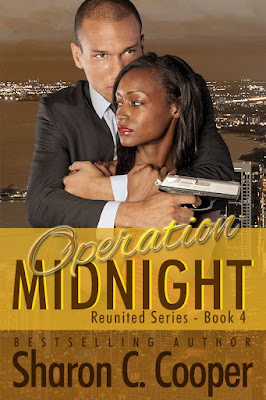 Below is a little peek at Operation Midnight. Find out what happens next. Get your copy today! 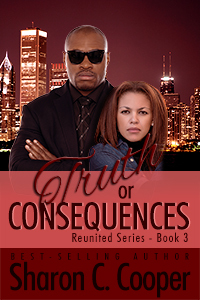 An ecopy of Truth or Consequences from the Reunited Series and a $5 Amazon gift card (1 winner). How to Enter: Leave a comment (in the comment section) answering the following question: Why do you enjoy romantic suspense novels? Giveaway ends 11:59pm EST Oct. 30th. Please supply your email in the post. You may use spaces or full text for security. (ex. jsmith at gmail dot com) If you do not wish to supply your email, or have trouble posting, please email maureen@justromanticsuspense.com with a subject title of JRS GIVEAWAY to be entered in the current giveaway. I like the emotional closeness & how they get together. Great post, thanks for sharing! I love a good villain. The creepier, the better! I love romance mixed with danger when a protective hero rescues the heroine from a sadistic villian. I enjoy Romantic Suspense for that bit of danger and intrigue! Thanks you so much for sharing with us today! I enjoy romantic suspense because it challenges me to think and try to solve the mystery while also getting to enjoy the romance aspect. Combining intrigue with romance is always a fun combination!